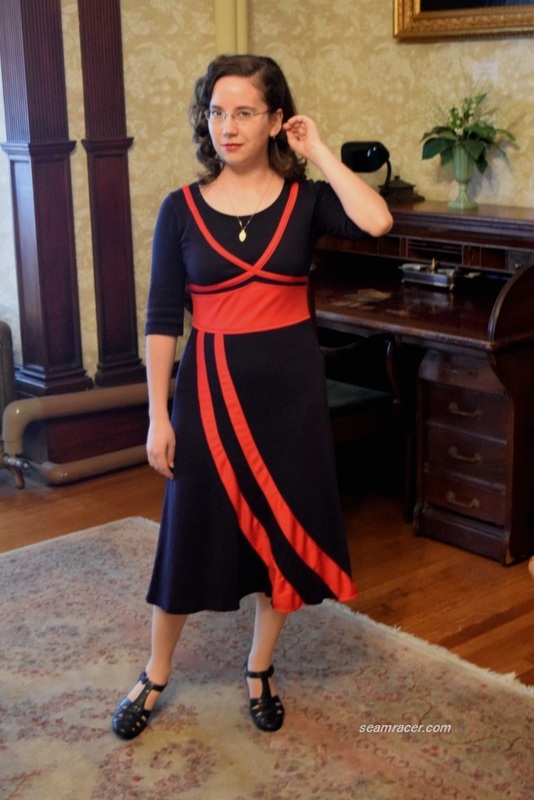 This entry was posted in 1930s, 1940's, Modern and tagged "Agent Carter", Agent Carter "Better Angels", Agent Carter "Better Angels" dress, Agent Carter fashion, Agent Carter Season 2, bias panel skirt, bias skirt, dress, knit, pattern drafting, Peggy Carter, Peggy Carter dress, re-fashion, retro, Samuel Cupples Historic Home, Samuel Cupples Mansion, Valentine's Day dress, vintage by kellycb. Bookmark the permalink. It looks so good! Totally reminds me of Peggy. Welp. 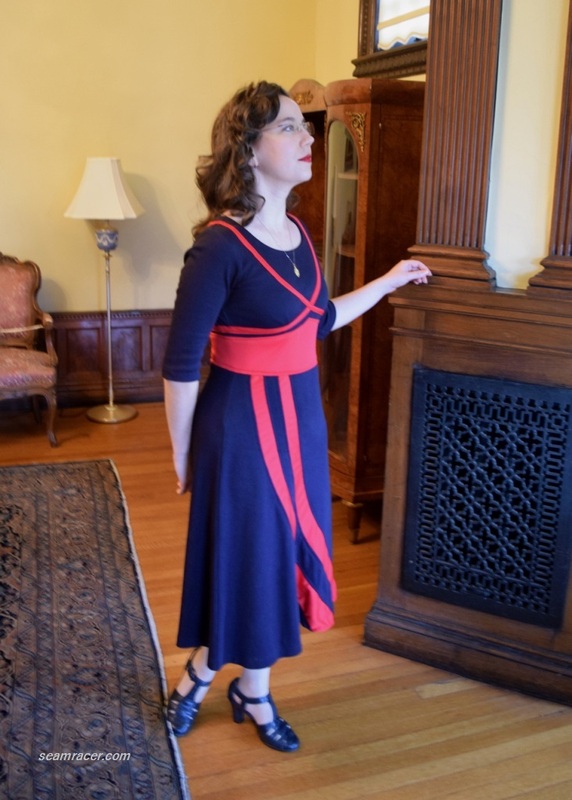 Another Agent Carter outfit, another fabulous make! 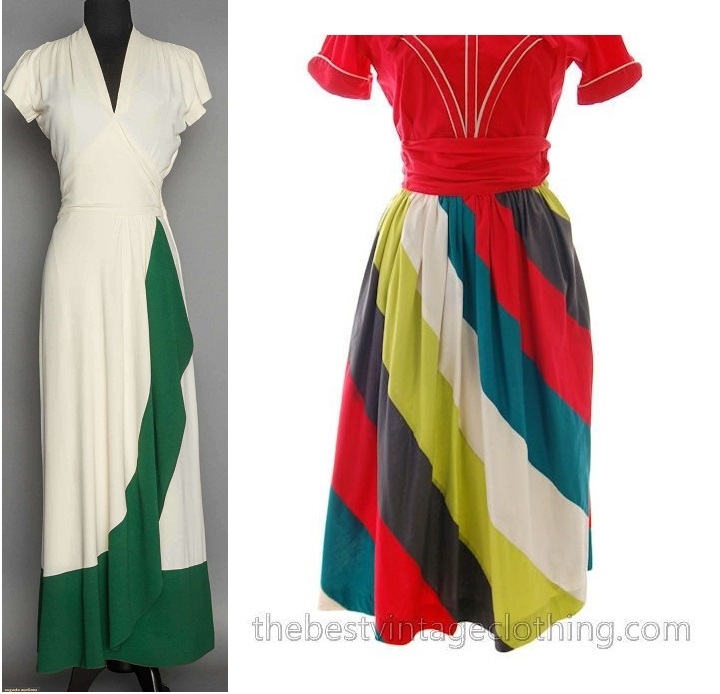 I love how you used an existing dress! Very 40s make do and mend! A perfect post for Valentine’s Day and a stunning dress! Too many exclamation points, I’ll stop now. You styled this beautifully, including your surroundings. All your exclamation points only make me realize your excitement on the other side of the screen! Thanks, Elizabeth. 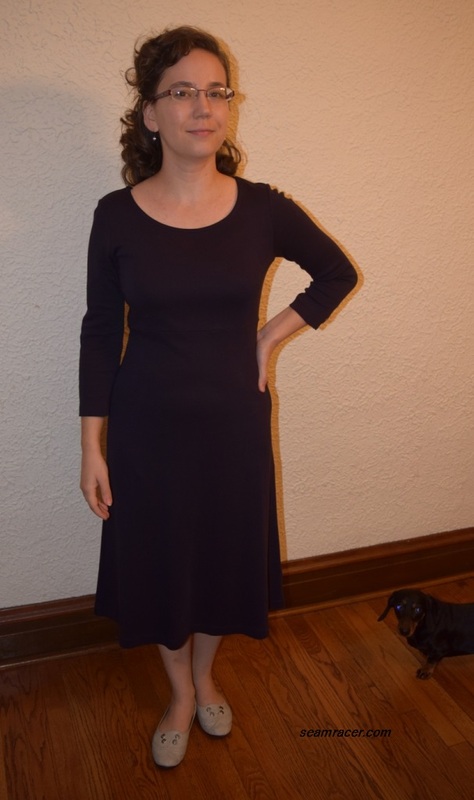 It does feel so satisfying to re-fashion something into a “newly” loved, even better garment. Granted…my regular “normal” surroundings are not so lush – but it did make for quite a background, right?! Wow, this looks so stylish! Such a beautiful remake. 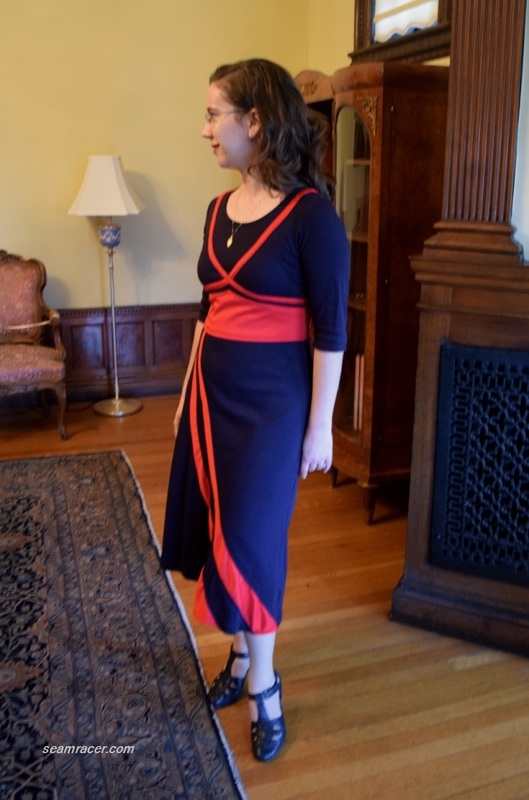 Thank you – with the rather bold color blocking to this dress I really appreciate hearing such positive responses to let me know I did alright! A re-fashion is always somewhat of a gamble. You remade it just perfectly. 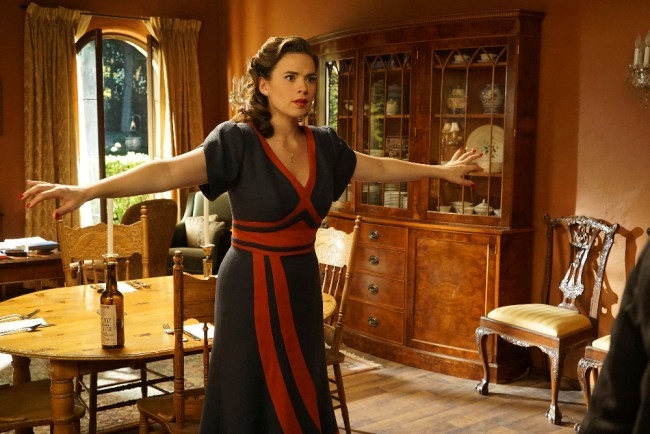 When Agent Carter wore it is was lovely, now you have made it you can almost start a new trend in lovely dress design! The bias strips would have driven me bonkers! !